Your book, Banksy: Urban Art in a Material World, began as a dissertational thesis. Why did you choose to focus your studies on Banksy? What is it specifically about him that so intrigued you? I was first introduced to street art and stencils in 2006 on a trip to Melbourne, Australia. And while visiting a museum bookshop there, I discovered Banksy’s book Wall and Piece. I was instantly fascinated and found myself going through it page by page. I liked the way each of his pieces has a distinct message or lesson that is transmitted in a humorous way. I knew then that I would like to research and write about his work. You draw parallels between Banksy and the contemporary British artist Damien Hirst. You discuss their collaborations, as well. Can you tell us something about that? What are some of the essential similarities between the two? What did each have to gain by collaborating? It might still shock some people that Hirst, the personification of capitalism, and Banksy, the art guerilla, collaborated. They knew each other since about 2000, and Hirst supported Banksy early on. It was kind of like Warhol and Basquiat. The established artist gains coolness and the newer artist gains credibility. The two artists admired each other’s works – and both Banksy and Hirst shared a morbid and humorous sensibility. 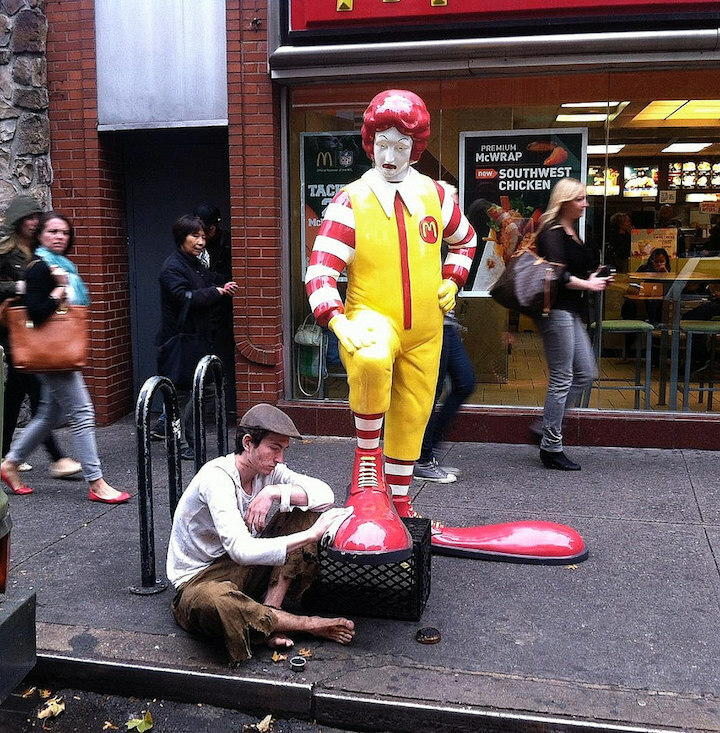 Among Banksy’s subjects are both capitalism and religion – often merged in a particular image. Do any particular images stand out to you? And why do they? 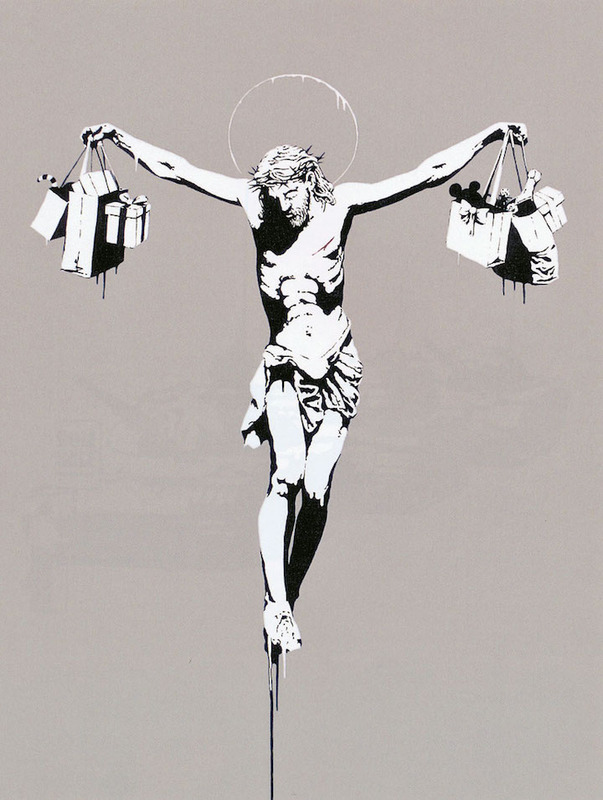 Banksy does not really focus on religion except in relation to consumption. Shopping/ Money is the god of today. No particular work stands out for me. Some are weaker; some are better. To what do you attribute Banksy’s extraordinary commercial success? I suspect that Banksy actually earns much less than people think he does. His income comes from the sale of prints, books, DVDs… The people who bought a Banksy for 50 quid 15 years ago or received a Banksy as a present have profited tremendously. 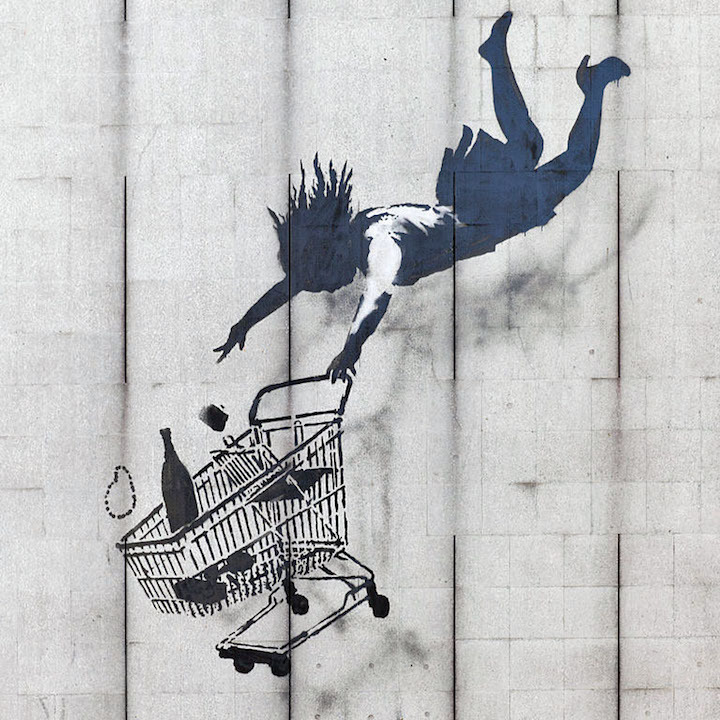 As Banksy rails against consumerism, he — himself — is a master at manipulating consumers. Why might we have become such a society of consumers? Any thoughts? We are easily manipulated, even when we know we are being manipulated. How essential are the streets to Banksy’s success? Where is it all going? Will Banksy’s popularity and commercial success continue to rise? 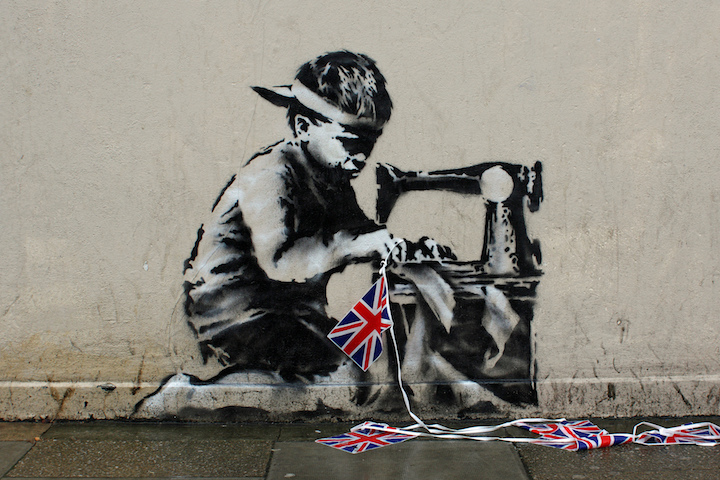 Will Banksy continue to use the streets as a canvas? Or will he become less dependent on them? What are your thoughts? Street Art is over. Most works on the street today are authorized murals or pieces in areas where the artist wants to be seen and photographed by the “right” people — whoever that might be. Street art has become urban art for Instagram. Banksy will last. He will put a few works on the street every year and pull off a big event every few years. I hope he will publish another huge book of his works or lead a little revolution somewhere. That would be fun. 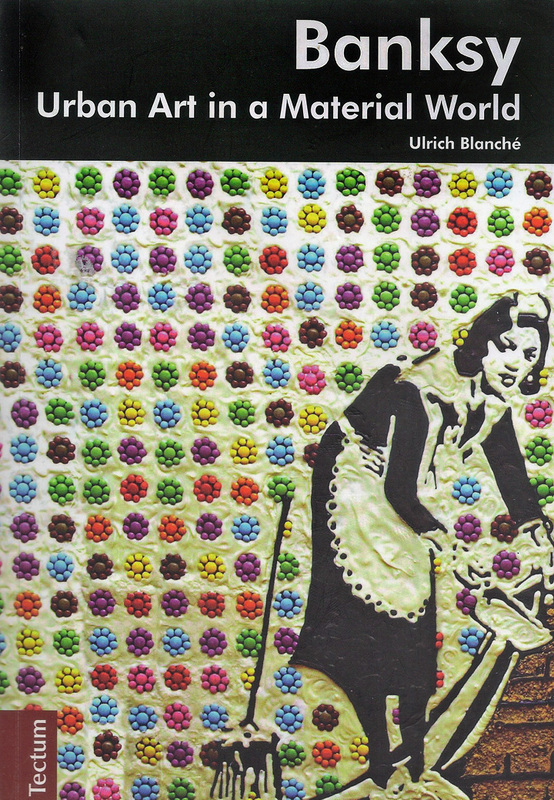 Originally written in German and published by Tectum, Banksy: Urban Art in a Material World has been translated into English and is available here.